I read this book a million years ago (OK, 1981), and what I remember is the following: a thirtyish father arrives at his yuppie-ish suburban home to find his wife has killed his two sons and herself (I haven't spoiled anything for you, I hope, seeing as that's the title of the book), and subsequently launches into a self-indulgent fugue that lasts for several days. 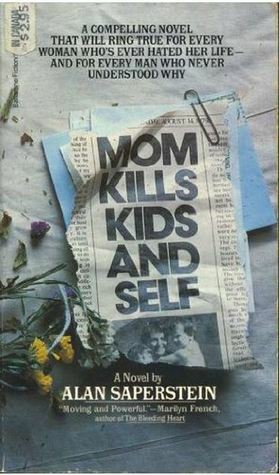 How much you'll like this book depends on a few things, not the least of which is (a) whether you have the stomach for the graphically described murder/suicide, which I still remember vividly lo these 26-odd years later, and (b) if you have the stomach for the main character's self-indulgence (I like my characters with flaws, so I went with it). Mixed feelings.... Short book worth checking out.